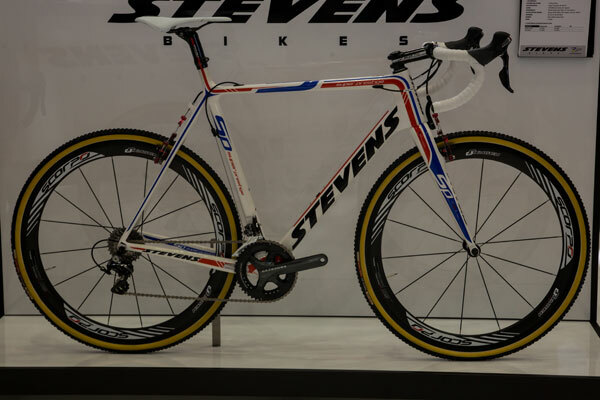 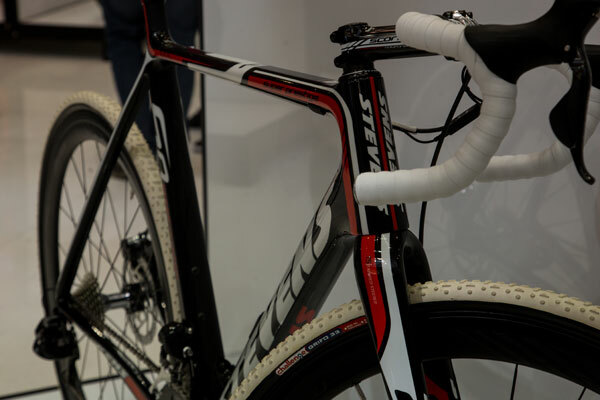 Cyclo-Cross bikes proved popular this year with a number of showings from Stevens, including both disc and canti versions of the Super Prestige running along side the a new Swift offering called T-War. 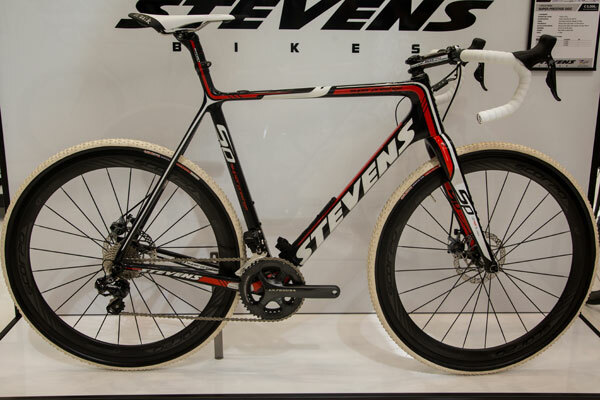 Catering for both sides of the braking fence, Stevens offers the Super Prestige in both mechanical disc and canti options. 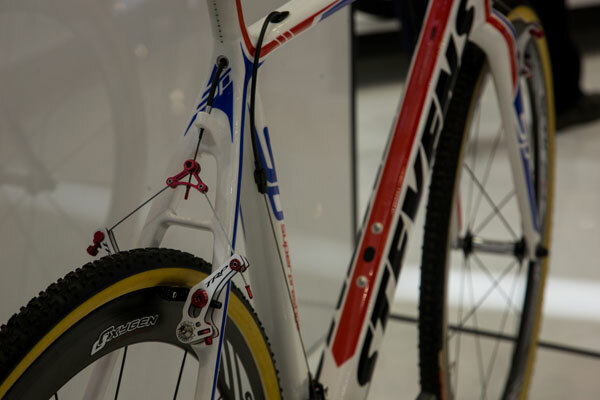 Although sharing the same namesake, the bikes also have different groupset options leading to subtle differences in cable routing. 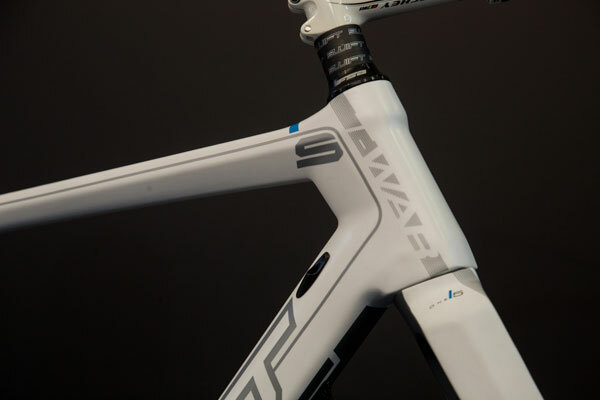 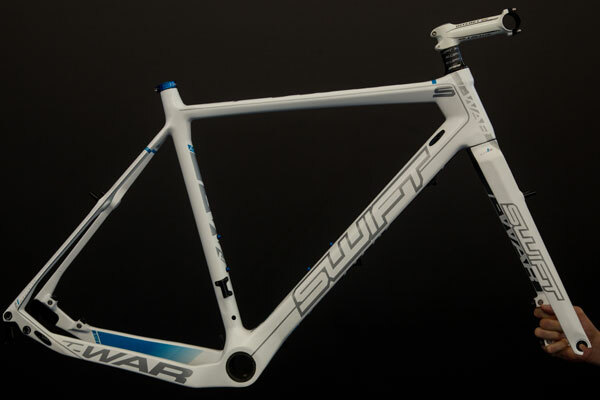 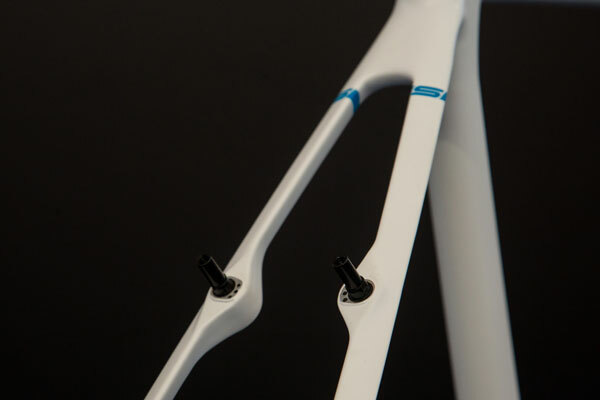 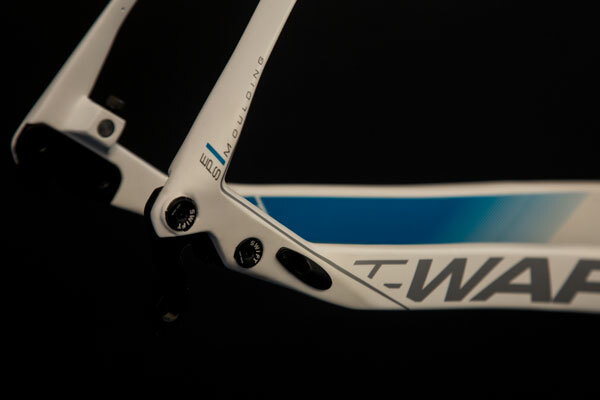 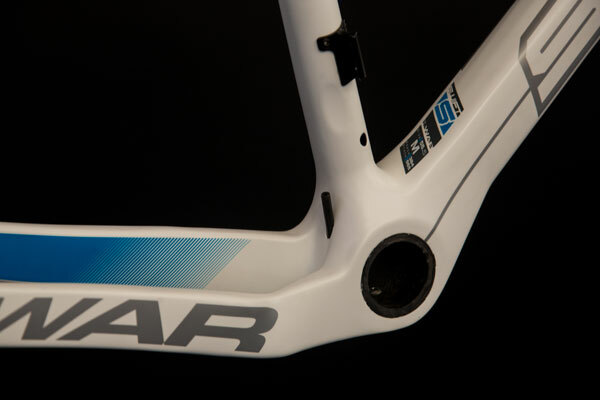 Swift T-War is a brand new frame to the line-up, designed as a race-worthy cross machine it features both disc brake mount and cantilever bosses.